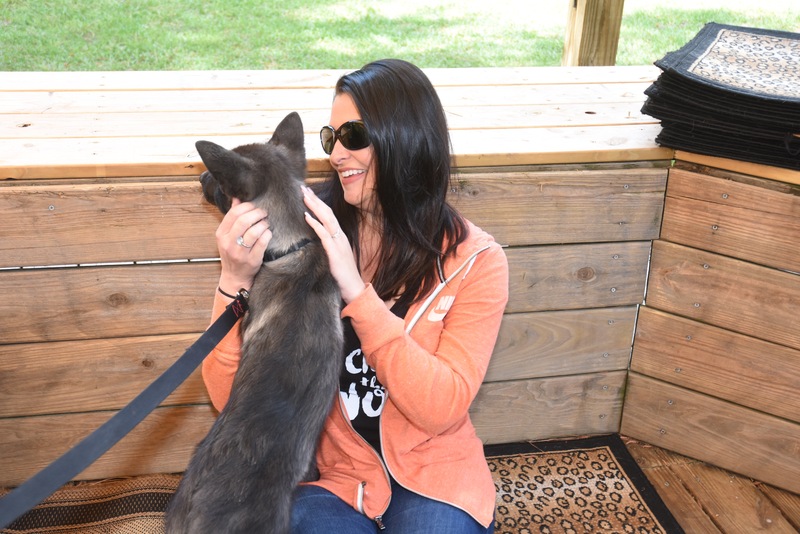 Did you know that a 50 acre animal preserve is tucked away quietly in small town Myrtle Beach, South Carolina? I’ve been to Myrtle Beach a handful of times and had no idea. 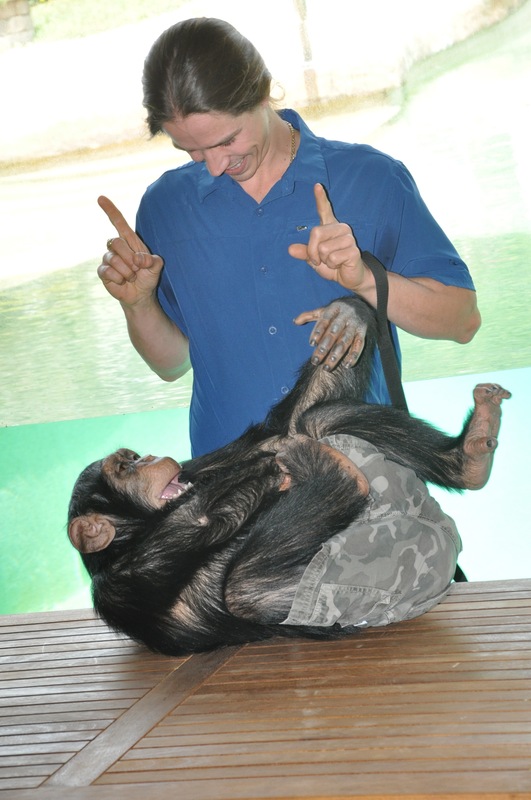 In fact, during my recent trip I asked many locals about this place that is home to over 100 animals. 98% of the Myrtle Beach locals I spoke to had never heard of it. 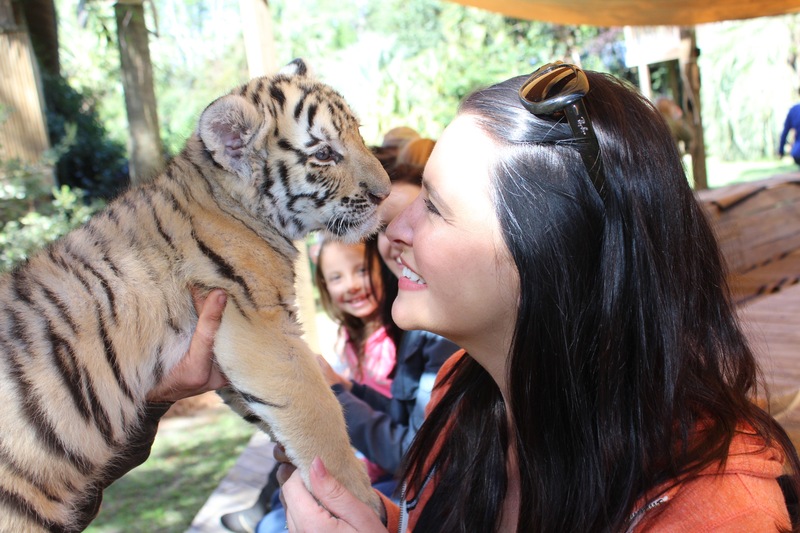 This made my trip to Myrtle Beach Safari Tours even more of an adventure. I admit it. As I arrived to the large bamboo gates outside of the preserve I was a bit nervous. For the next four hours, I had to give up my phone and camera as neither were allowed. This is so there are no distractions for you or the animals and so that you can truly enjoy the experience. I’m the first to admit that my phone is in hand pretty much at all times. It controls work, family, and anything else going on in my life. Maybe it wasn’t such a bad thing to have to close it away in the glove compartment of my car. After signing a few waivers stating we understood the rules including the fact that there’s always a risk that injury could occur, we were allowed to enter. I was under no illusion that I was going to come face to face with predators. After returning home I was called ‘brave’ and asked the question over and over “weren’t you scared?” No. I wasn’t. I didn’t really think twice about that after driving through those gates. There was no glass between us! After an explanation of what to expect, we had our first encounter. 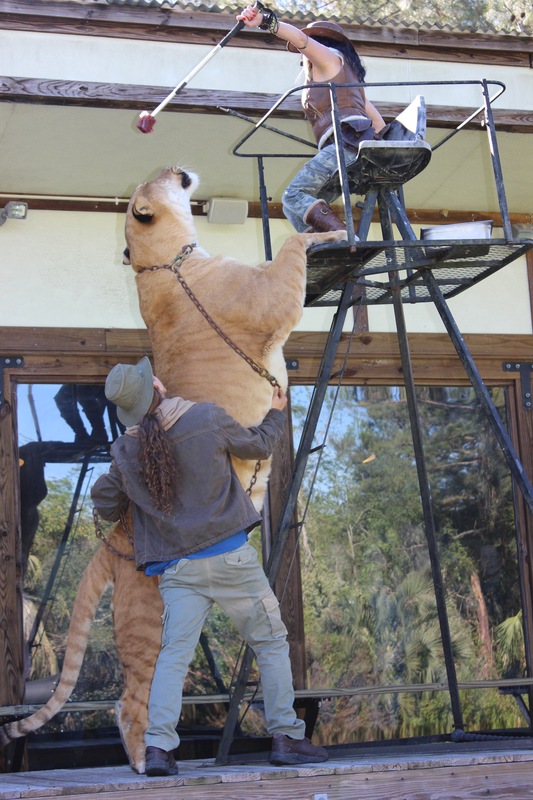 A liger named Hercules weighing in at over 900lbs and standing at 11 feet tall when on his hind legs! Now, that’s a big cat. I should also mention that Hercules is a Guinness Book of World Records three time winner. Throughout the tour, we were not allowed to come in contact with any adult animals (with the exception of Bubbles the elephant) for good reason. 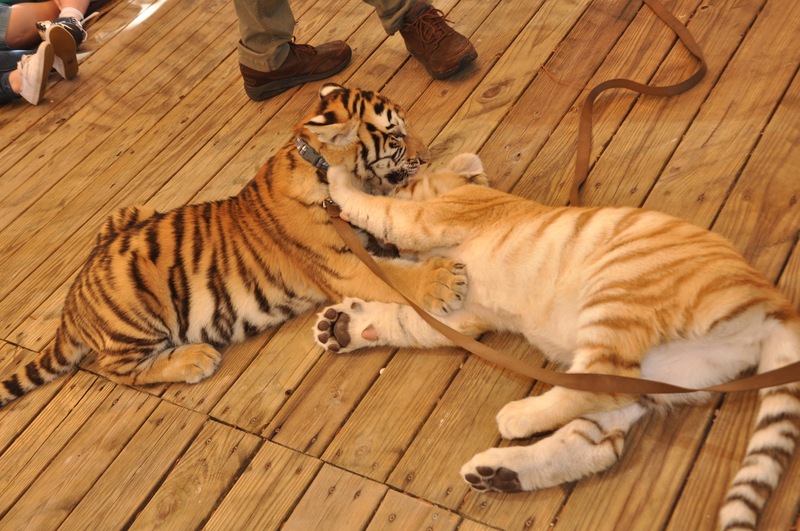 While they are trained, they are still predators and are capable of causing harm to someone in certain circumstances. Education is important but so is safety! 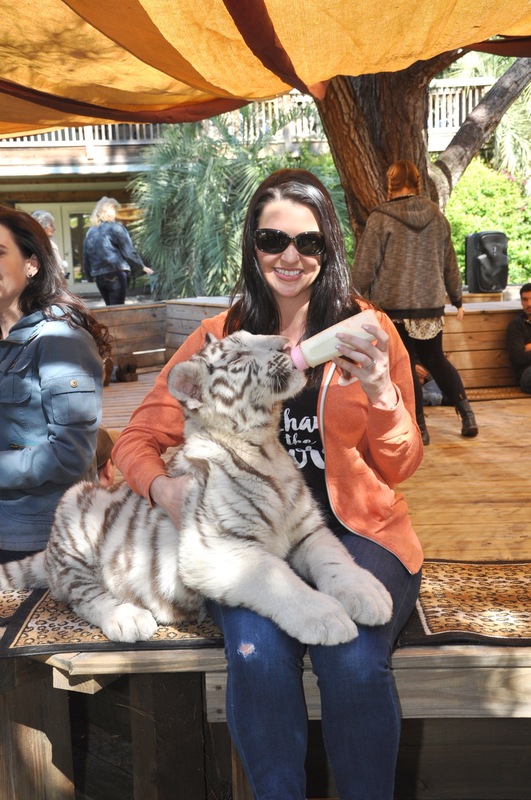 One of my favorite parts of the tours was the opportunity to interact with the baby tigers and wolf pups. One question I’ve received a few times is “are these animals sedated?” The answer is no. Not at any time during my visit to the preserve did I feel the animals were being harmed. 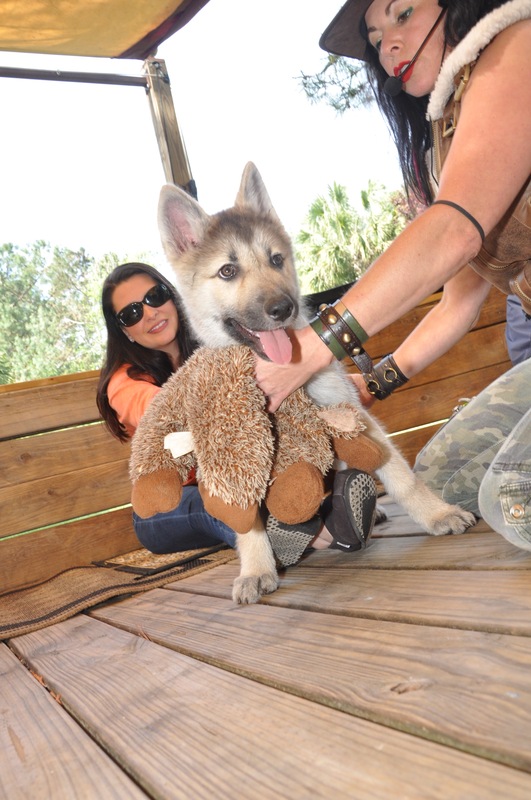 The cubs and pups were playful and loved chasing their stuffed animals. The preserve is beautiful, it’s clean, the animals seem very happy, and they were not caged as you would see at a zoo. During the tour we were also introduced to Ahren, the African Fish Eagle that was rescued from Tanzania, Ramses the Cheetah, Siberian and Bengal Tigers, Wolves, Gibbons, and Chimpanzees. 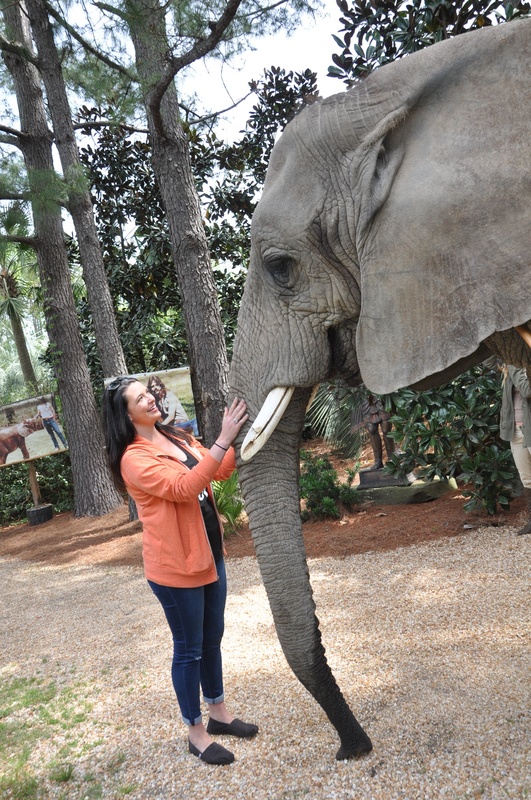 Throughout the tour you are educated on each animal and what Myrtle Beach Safari is doing to help them. I was impressed at the relationship the trainers had with these animals. You could tell they spend an incredible amount of time with them. In fact, their entire lives are surrounded around the lives of the animals. They are all treated as family. Many of the animals are hand raised from the time they are very young which allows the trainers to build a strong bond with them. I really loved the story of Bubbles. You may have seen her on social media or even t.v. She’s quite famous! 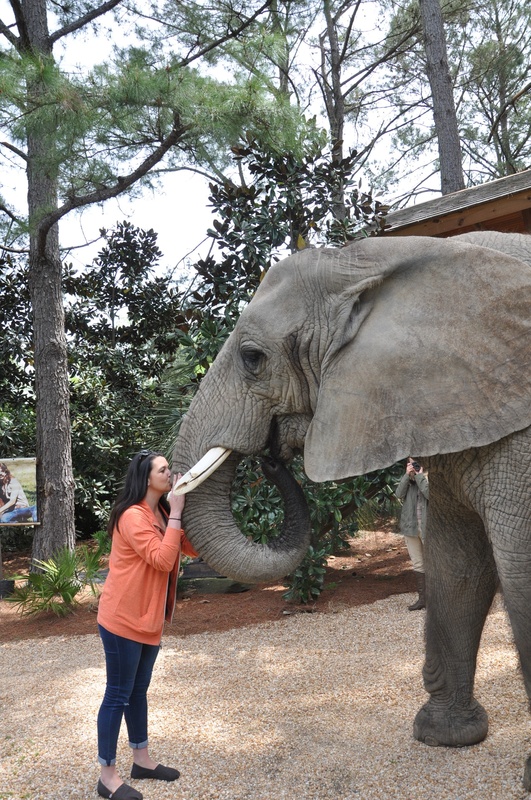 Bubbles was rescued by Doc Antle, the founder of Myrtle Beach Safari Tours, over 30 years ago! Her family were all killed by poachers and Doc has raised her since. This 5,000lb big baby has a funny and sweet personality. I’ve traveled a great deal and had some incredible moments in life. This was by far one of those moments that will be with me forever. 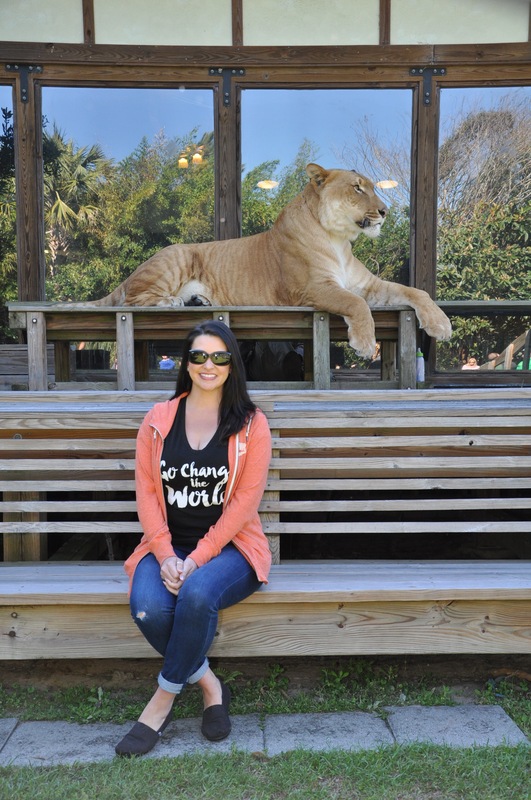 Something I heard a few times during my time at Myrtle Beach Safari was that this experience is a bucket list item being checked off. Many travel from far away just to get up close and personal with these beautiful creatures. 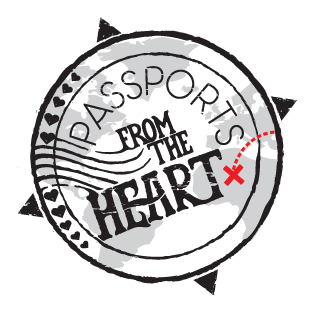 I met a couple of people that came from New Jersey but I heard people have traveled from as far away as Japan, England, and Canada. 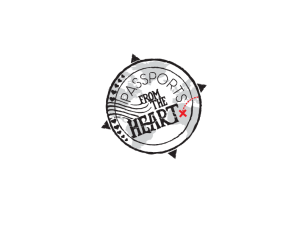 Your visit to Myrtle Beach Safari Tours helps support the work being done by the Rare Species Fund which provides funding to international wildlife conservation programs. It will be worth it and your children will love it! I’ve always wanted to go here as I am a huge animal lover. You said that they take away your phone…how do you get pictures? I know entry to the park is on the expensive side and for good reason but do I have to pay an additional fee to get my pictures as well? Pictures are part of the package you choose. It made it so much easier to focus on the experience while someone else grabbed the special candid moments. Love this place! Went there 7 years ago but was called Tigers Place! Look forward to go again someday or go on one of their Africa Safaris , if they still have them! Doc is an old friend, as are his kids Sri, Cody, and Tawney, from my days at King Richards faire, he would bring several animals north for the two month run of the faire, Hercules the liger, along with the tiger cubs, both Siberian, and Bengal tigers, and various other birds of pray, Dr.Robert Johnson would tell the tale of tiger so vividly, you’d think you were in Mrtle beach! Those animals are treated better than most humans! lol The cubs are always a treat, and I remember when he used bring Bubbles up, the kids loved riding on her, she is such a sweet, well tempered elephant! Doc’s Safari is unforgettable.an experience well worth it. I have been there sevèral times. My son Chef Rob and Grandaughter both were volunteers for a short time years ago. Just fell in love with Bubbles, Such a sweet. Elephant, Ligers were. Fabulous. Orangatans were fantastic. 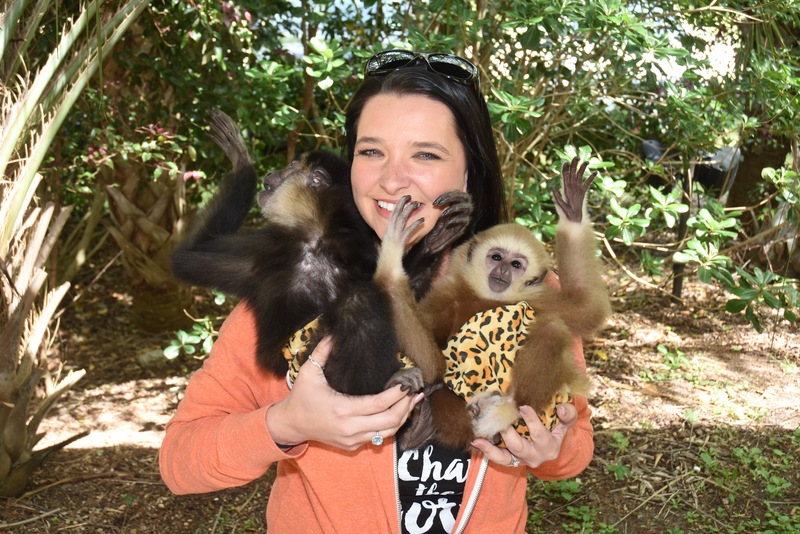 Gibbons and chimps were very lovable.roscoe was a fantastic companion to Orangatans.the people here are incredible. Don’t miss Myrtle Beaches well kept secret.the photographers are fantastic. You won’t miss your phone and stuff. Enjoy the day! I have had the pleasure to meet more than one of the gorgeous creatures over the past 20+!years along with their humans. I saw Bubbles grow from a young orphan into the magnificent girl she is today. I was also fortunate enough to have met Arthur up close and personal- what an absolute treasure. 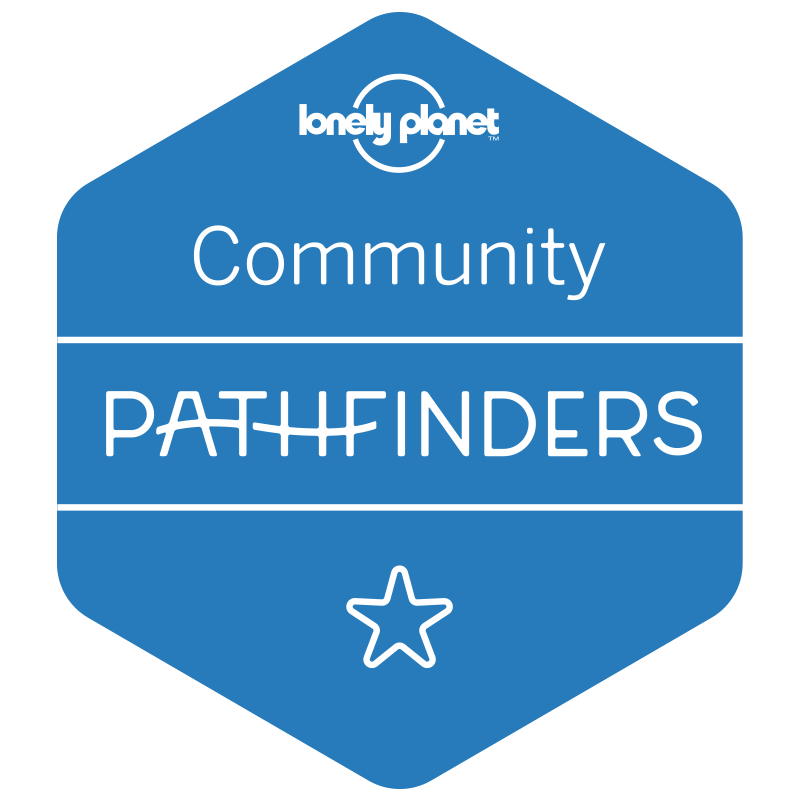 Here’s hoping that future generations have the opportunity to have the experiences that I have.